Lidl, the discount supermarket, has unveiled a new strapline ahead of a brand campaign. 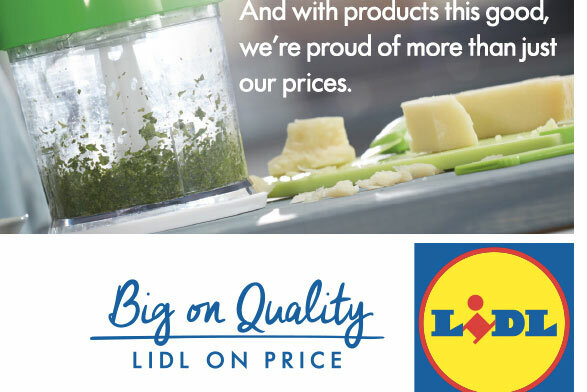 The strapline, "Big on quality, Lidl on price", appeared on its website and direct marketing this week and forms the basis of a new campaign which launches in print today and on TV on 6 January during Channel 4’s Big Fat Quiz of Everything. The campaign, created by TBWA\London, will directly compare Lidl's products with those of its supermarket competitors by focusing on key ingredients used for everyday meals. For example, the TV ad will show how a customer can afford to buy all the elements for a week’s worth of school lunches in Lidl for the same price of just one packet of Cheddar from a rival supermarket. The new activity will replace the "#LidlSurprises" activity which was behind the brand's first TV campaign in 2014. "#LidlSurprises" was used in Lidl's advertising as recently as last November in its 2016 Christmas campaign. TBWA\London picked up Lidl's UK ad account in 2013 while Starcom has handled the brand's media planning and buying since 2015. Claire Farrant, advertising and marketing director at Lidl UK, said: "Our products have always been famously great value, and this campaign really highlights just how much more shoppers can get for their money at Lidl, without ever having to compromise on quality. "It offers key meal solutions for all the family demonstrating the great range we have at Lidl."